The process of color selection should never be an after-thought. Since 80% of human experience is filtered through the eyes color selection should never by random. Don't guess - that's always a costly mistake. Ideas Only uses a cross-disciplinary approach to color selection that operates on multiple levels of conscious perception that influences your attitude and sense of well-being. Ideas Only brings together the science and emotion of color to provide you a unique and evidence-based color solution. Working with a certified color consultant is a cost effective and smart design investment for home, office, business, and retail environment. Understanding the relationship between color and lighting is key in creating a successful color palette. Ideas Only is a unique design consultation service presenting several specialty certifications including the most recent in the art + science of lighting. Having successfully completed a 12 month training and certification program with the American Lighting Association Ideas Only can guide you through your lighting selections. Ideas only will help you avoid costly mistakes by attending to the important details: proper size, position, room proportion, finish + style integration, lumen output, color rendering, Kelvin temperatures, distribution, LED application, and so much more. KNOW before you buy! Lighting consultations available by appointment - use Contact tab in menu bar. 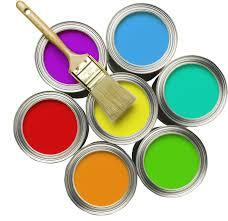 The REGREEN residential remodeling guidelines help make your home renovation project a green project. Green homes are healthier places to live, are better for the environment and can you save money. They have better air quality than non-green homes, cost less to operate and significantly decrease the negative impact of the home on the environment. Green homes are also an immediate and measurable way individuals can make a difference in the environment. As a REGREEN Trained professional Ideas Only can guide you through the process of making your space more efficient. Good design fosters a quality lifestyle that improves the health, safety, and welfare of the occupants of a built environment. The REGREEN program developed by the United States Green Building Council and American Society of Interior Designers. Ideas Only serves the greater St. Louis area but can travel to sites beyond with special arrangements.